People have been asking me, they've been saying "Hey East Village Today, why haven't you posted anything since your one-year anniversary?!" 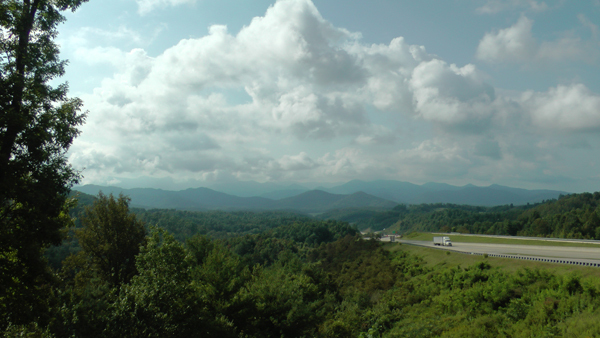 Well, the answer is this: I was away, on vacation — all the way in Asheville, North Carolina! "What's that, you say?" they say. "All the way in Asheville, North Carolina?!" Well, sort of. I was between Black Mountain and Swannanoa most of the time. I only passed through Asheville to get to I-26 coming home, to the East Village! This picture was taken August 24th, the very day of the first anniversary of… East Village Today! wow - that is way past mount pilot!